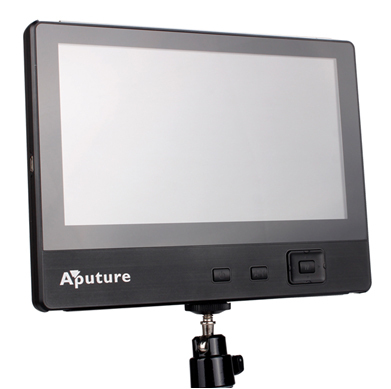 Aputure V-Screen is one of the most important products in our Vivo Movie Solution line. 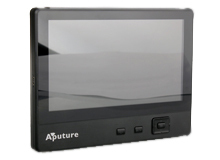 It is an ultra-thin 7” TFT-LCD monitor featuring a crystal clear WVGA display, low power consumption, multiple aspect ratios, and more. 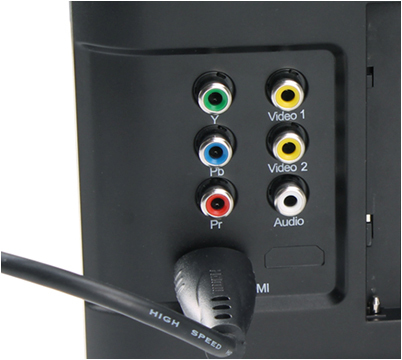 It accepts HDMI, AV (Audio/Video1/Video2), and analog inputs from your DSLR or camcorder. 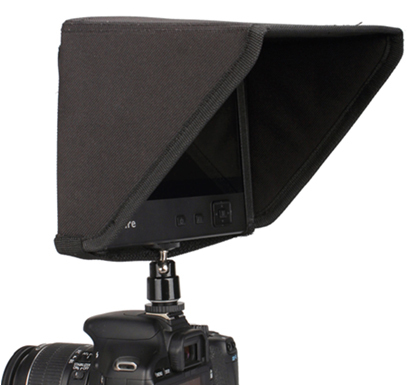 V-Screen also includes a double power supply, universal hot shoe mount, and sunshade cover. 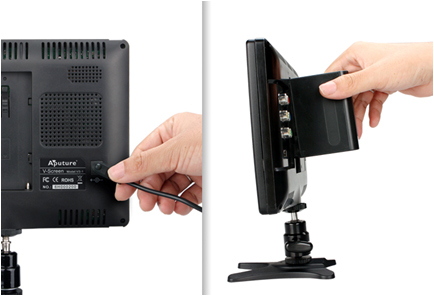 Widely fits all devices with appropriate signal inputs, such as DSLRs, camcorders, etc. 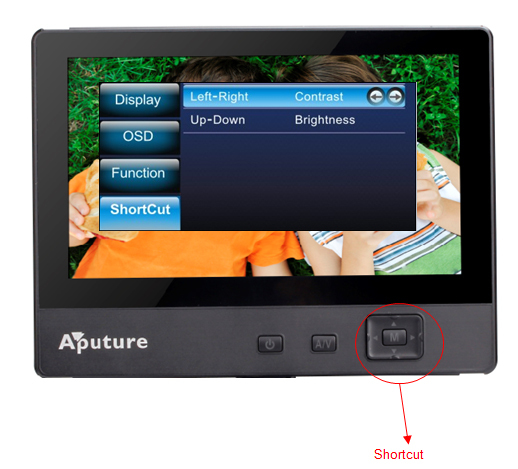 Shortcuts functions can avoid repeated button pressing, save shooting time, and give an immediate viewing experience. Double power comes from the AC adapter and lithium batteries. Use the adapter with access to a power strip, and use the batteries when shooting outside. Lithium batteries are also commonly used with LED video lights. And more, V-Screen can charge batteries intelligently while powered by adapter. So you don't always need to carry a battery charger. 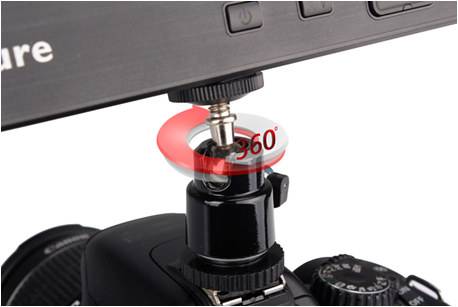 Switch the display ratio according to your shooting ratio in order to avoid image distortion, making for a clearer shooting experience. 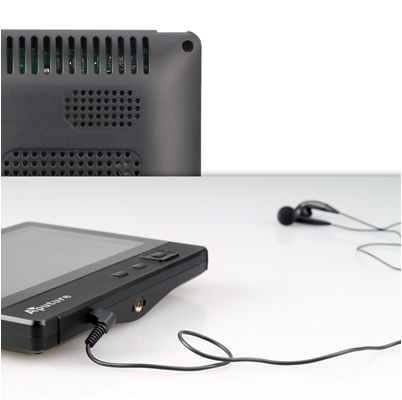 V-Screen can broadcast videos with a perfect MS stereo system. Not only can you monitor image quality, but you can also monitor the audio output, for a more professional sound quality. 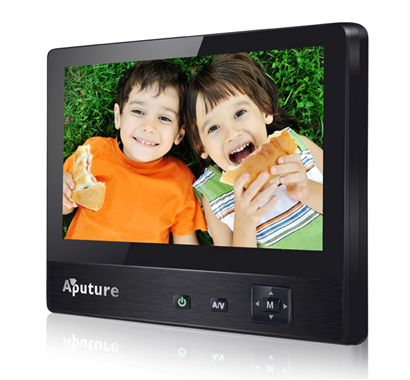 V-Screen is different from other video monitors in the market. 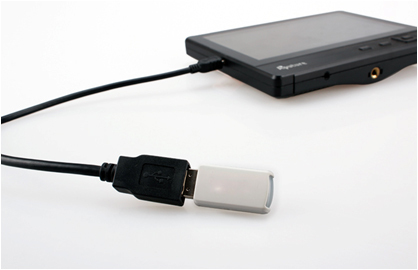 With firmware updates, you can improve its compatibility, performance and functions with a simple USB connection. 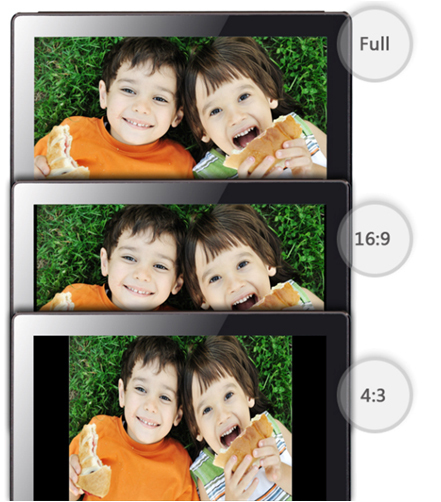 V-Screen is only 23mm thick (at least 5mm thinner than competitors). It is truly “ultra-thin”. It has a simple & elegant design, and abundance of functions in just a few buttons. Easily master shooting videos with V-Screen. There is a universal hot shoe mount with swiveling head, so you can check the videos from any angle in a 360 degree radius. Provided is a sunshade cover to monitor in bright sunlight. It is made of suitable opaque material and keeps a nice shape, in order to block strong light so you can see the monitor clearly. 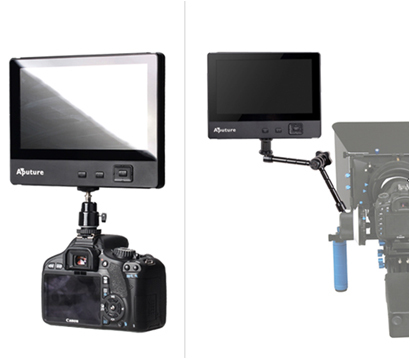 V-Screen uses industry-standard ¼”screw mount which supports various mountings such as Magic Rig, DSLRs, camcorders, etc. .